Advanced Planning is a matter of taking the time to think about and record your end of life desires. It is a thoughtful gesture to those you love, and a way to let go of anxieties about the future. Once done, you can relax, knowing your plans are in the hands of reliable family and friends. It’s easy- there is no health questionnaire or physical exam required. Everyone is able to make plans ahead of time and there is no waiting involved. The plans are completed and put directly into your file at the funeral home. Allows your family to know and understand exactly what you wanted. This allows your family to spend the time they need when your death occurs to mourn together and not spend several hours at the funeral home answering questions and planning your funeral. Can save your family money and protect you from inflation. When you pre-pay, you can lock in today’s prices. Our staff will be happy to help you learn more about the benefits of pre-paying as well as helping you make a well informed decision that will best benefit you and your needs. 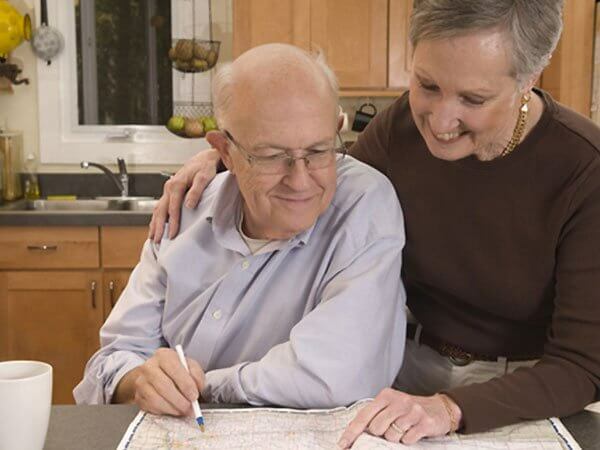 Why Plan Ahead with Gednetz-Ruzek and Brown Funeral Home? Pre-Planning with us will allow our professional staff to explain every options to you to help you better understand what is out there. We strive to help our families create a unique and meaningful ceremony that your family will cherish. We want to help you help your family by giving them peace of mind knowing that your final wishes known and the expenses are covered. We offer a variety of plans to make sure everyone can afford pre-paying to relieve the financial burden from your family. Call us today to set an appoint to meet with our staff to learn about your options.